People frequently wonder if the mercury in their silver fillings (also called amalgam fillings) could be to blame for various chronic diseases and disorders they might experience. I know of countless people who have become healthier since removing their mercury fillings. I’ve had patients that could no longer function well enough to go to work and had to be physically helped by someone to just walk from one side of the room to the other. After the proper procedure to remove their mercury was done along with chelation therapy…… these people were well again! I had a middle aged man who had slowly lost the peripheral vision in his left eye. His eye doctor could find no physical reason for the loss of sight. We removed his mercury fillings (following the proper protocol) and some of them had been on his 3 upper left teeth. A few weeks after his final chelation therapy, he calls me to tell me that his peripheral vision had returned completely in his left eye! I’ve had patients who were dealing with thyroid disorders who were able to stop their thyroid meds after their mercury fillings were removed! Reading stories like these causes people to become unnecessarily concerned that their mercury-containing fillings are harmful. It is highly unlikely that an amalgam filling does anything other than replace decayed tooth structure. Neville’s Oral and Maxillofacial Pathology states, “An investigation of patients with concerns associated with their amalgam restorations reveals that most of their complaints can be associated with oral, dental, or medical problems unrelated to the restorations.” While amalgam fillings are not to blame for any major diseases, it is worth noting that allergic reactions do sometimes occur in close proximity to an amalgam filling. Only 1-2% of all people who are allergic to mercury will in some way be allergic to the small amount of mercury released from amalgam fillings. There are two types of allergic reactions that occur: acute and chronic. Acute allergic reactions to amalgam fillings are extremely rare. They are estimated to occur once for each million fillings. When this happens, a sore will usually develop in the mouth on some tissue that comes into contact with the filling, such as the tongue or the inside of the cheek within one day of receiving the filling. If this occurs, you should inform your dentist as soon as possible to get appropriate treatment. Chronic allergic reactions are less rare. If you notice a thickening of the tissue on the inside of your mouth, such as on your tongue, it could be a chronic allergic reaction. If this is the case, it would be wise to make an appointment with your dental provider to discuss your concerns. An example of this is a case in which a patient had a sore on the side of his tongue for five years. 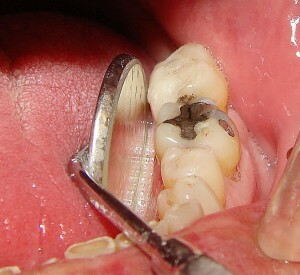 After removal of the amalgam filling, the sore healed. To summarize, dental amalgam has proven to be a safe and effective filling material to replace decayed tooth structure. It has been used for the past 150 years as a filling material and during that time, it has never been implicated to be the cause of any disease, although it can rarely cause allergic reactions. I think once you understand the scientific truth about mercury/amalgam fillings, you’ll have a better understanding. Firstly any metal placed in the human body is a toxin and un-natural to the human body, let’s not forget how we all started, as cave men. Secondly we all react to things differently. What you must understand about mercury is that it is the second most deadliest metal in the world. The vapour that leaks continously from the fillings is odourless but stimulated by heat and also by cigarettess, smoking, hot drinks etc. The vapour is realised into the bloodstream and causes various immune reactions. I personally struggled with ill health from palpitations, mis-diagnosed with anxiety disorder, digestive disorders, sensitivity to light, ringing in the ears, extreme tiredness, numerous problems until I was lucky enough to find out the identifying cause. So many poor people go on suffering, being told they have “Chronic Fatigue”, “General Depression”, just to name a few until the underlying cause is found. There are so many things in this modern world going treated incorrectly when simple further tests could be carried out, metal allergies / intolerances / food intolerances. Unfortunately alot of doctors are only taught by text book materials. Hi Lisa – I do sympathize with you. It can be awful to be experiencing pain, anxiety, depression, fatigue, or other issues and not know where they are coming from. To date, I haven’t heard about any studies linking silver fillings to any diseases aside from allergies to silver fillings, which I talked about in the article above. I understand that mercury is a very toxic metal. Do you have any links to studies that associate silver fillings with immune reactions in the body? I do respectfully disagree that any metal placed in the human body is a toxin. We place titanium dental implants almost everyday at my dental school. Within a few months, the body’s own bone grows right up around the dental implant and anchors it into the jaw bone so that a crown can be placed on the implant and serve a long life as a “new tooth” to the patient. Thank you for your comment. I don’t want to sound like I don’t believe what you’re saying, I would just like to see results from studies that justify all of these claims about silver fillings. Thanks for your comment, Lisa! In regards to your comment – “To date, I haven’t heard about any studies linking silver fillings to any diseases aside from allergies to silver fillings”…. well, there are HUNDREDS of credible scientific studies that have linked mercury (or “silver”) fillings to a broad range of chronic health issues. I have personally reviewed many of these. Mercury is the most toxic (non-radioactive) metal on earth and many countries including Switzerland, Sweden, Denmark and some U.S. states, have actually banned mercury fillings. I also know of many independent dentists that do not put amalgam fillings in people’s mouths. The ADA’s former position was to state that study after study showed that mercury, once bound to the other metals (in a filling), does not leach out. However, studies have now shown that mercury DOES leach out of fillings. Not surprisingly, the ADA—in the face of multiple requests—has yet to provide a single study (that I know of) to the contrary. I have heard many dentists refer to some people being “allergic” to mercury fillings….what a load of rubbish! It sounds like you have been sucked in to believe the rubbish that the ADA spits out (who, by the way, make around $50 million per year from royalties associated with the manufacture of amalgam fillings). The ADA has convinced dentists, the U.S. government, and the American people that once mercury is combined with the other substances in an amalgam filling, it becomes perfectly safe. Don’t you agree that it is a little ironic considering that amalgam (including amalgam fillings removed from peoples’ mouths) must be handled, transported and disposed of as a “toxic substance”. The ADA also has a “protocol” for safe handling of the amalgam mixture once it’s prepared (mixed) by a dentist or dental assistant. This protocol includes using the “no-touch” method to handle it and storing it in a elemental room under water in sealed containers. Therefore, to any THINKING person, the inconsistency is obvious. If the ADA has known that this amalgam substance can be dangerous to the touch, then how can they explain their position that amalgam suddenly becomes perfectly safe once placed in the volatile environment of the human mouth, and then dangerous again when removed???? To place amalgam/mercury fillings in a person’s mouth with awareness of the evidence that shows it’s dangerous is ignorant, unethical and criminal – particularly when safer alternatives are available. Hi John – You’ve given me a lot to think about. I will look at the links that you have posted – hopefully this weekend I will have time. You state that some U.S. states have banned amalgam fillings. Please let me know which states have banned silver fillings as I am not aware of any. I have read that the ADA has more money to make when it comes to royalties for composite fillings (rather than amalgam) so it would make more financial sense for them to recommend composite fillings. They appear to be recommending the fillings that last longer when it comes to the back teeth. I do agree that the ADA’s protocol for handling amalgam does make it appear that they are saying that amalgam fillings are safe and simultaneously saying that they are harmful. When we remove amalgam fillings, they are drilled out and often removed in tiny pieces that have much more surface area than the filling did when it was in the mouth. The increased surface area allows more mercury to escape from the filling, necessitating safe handling protocols. Here’s a page by Dr. Stephen Barrett about amalgam fillings that seems to go against what you’ve written in your comments. I understand that his beliefs are the polar opposite of yours, but I’ve found that many times the truth lies somewhere in the middle. The ADA also has a statement on dental amalgam. Do you think that the ADA is really trying to push a dangerous substance on people in order to make money? It seems like someone would have come out in the open and told everyone if that were the case. It doesn’t seem possible that it’s just a big conspiracy against everyone. Thanks for your comment, John. I look forward to learning more about this issue. I can’t say that I’ll change my mind, but I believe that it’s important to keep studying issues until I have all of the information I need to make informed, ethical decisions. I too suffered from health problems including ringing in my ears, sinus pain, vertigo and migraine headaches just to name a few. My symptoms grew worse with each passing year. Testing showed I had abnormally high levels of mercury in my system. I recently had my silver filings and my debilitating symptoms are beginning to subside. I also tested positive to a genetic abnormality by the name of MTHFR. This is a pretty common genetic and hereditary mutation. One of the side effects of this mututation is a limited ability to process and remove toxins from the body. The result is abnormally high levels of mercury, aluminum, etc. I urge everyone with mercury filings to be tested for the MTHFR gene mututation and if positive, have all amalgam filings removed. Most of mainstream medicine and NIH does not recognize this connection, so instead of asking your current doctor, I would google MTHFR to locate practioners in your city and state. It’s extremely disheartening to know that the mainstream medical community refuses to accept the connection between the two. After all, what would it do to the suppliers of this cheap solution? Unbelievable to me how antiquated “modern” medicine truly is, and not the fault of Tom – he is just practicing what he was taught in dental school. Proponents of mercury in dentistry will often argue that there is no research that shows that mercury amalgam is dangerous. Lets not forget that same argument was made about asbestos 20 years ago — that it’s safe until proven hazardous. The ADA and FDA would be aware that they have a lot to lose by accepting that they have allowed many people to be poisoned over the years…could you imagine the litigation potential! Look at James Hardie..not to mention the size of the safety recall – over 100 million Americans have amalgam fillings. In 1926, Dr. Alfred Stock showed that mercury vapor escapes from amalgam fillings and that this could cause significant health damage. The ADA vigorously defended dental amalgam as being safe and its widespread use was continued. In 1986, the ADA finally admitted that mercury vapor escapes from the amalgam fillings. But they remained adamant that amalgams were safe, and in 1986 it changed its code of ethics, making it unethical for dentists to inform patients of the health risks of amalgams or to recommend removal of amalgams! Also, many of the studies that claim that mercury fillings are safe are either directly or indirectly funded by the ADA so are really not that trustworthy or reliable. I am aware of Dr Stephen Barrett, however his “expertise” is somewhat questionable and in one particular court case a judge also questioned his credibility http://204.74.214.194/forum1/message1016032/pg1. Besides, the vast amount of credible evidence against amalgam cannot be ignored. The large numbers of formal testimonials from hundreds of people who have suffered from mercury poisoning and experienced recovery in the months following safe amalgam removal also cannot be ignored. I must apologise for my previous statement which was inaccurate – no U.S. ‘state’ has banned amalgam yet, however, in October 2010, Costa Mesa City Council California enacted the Monahan Resolution banning the use of dental mercury. The push to ban amalgam is currently spreading throughout the U.S along with other countries such as Australia (where I am from). Tom, there simply is no evidence that mercury / amalgam fillings are safe, but plenty to show it is unsafe. I don’t believe there are many dentists out there that would be willing to sign a written statement for me to say the amalgam filling they propose to put in my mouth is safe. Hi John – Thanks for your reply. I can tell you that my dental professor who taught us all about amalgam restorations during my first year, second semester of dental school would sign a statement saying that amalgams are safe. He is probably the most “pro-amalgam” person I know! Contrast that with a prosthodontist at my school that I talked with a few months ago about amalgam. He questions their safety and flat out told me that he would NEVER put an amalgam in a female of child-bearing age because he wants to prevent any developmental problems in the future should that woman decide to get pregnant. It is a controversial issue – in many of the textbooks I read, they talk about the studies that show that dental amalgams expose you to far less mercury than eating a piece of fish for example. This is an issue I am looking into more and will write about more in the future. Out of curiosity, do you have a source from 2008 where you say that the FDA admitted that amalgam can cause health problems? Dental school will be pretty intense for me until the after finals week at the end of April, so I won’t have much time to study this issue much until May. I will come back here in a month or so and look more into what you’ve written. Thanks for the good conversation, John. Sorry, I forgot to add the FDA info…..
Also, eating certain fish / seafood will expose you to about 2.3 micrograms of mercury a day whereas a single dental amalgam filling releases as much as 15 micrograms of mercury per day! Dr. please watch the “Beautiful Truth” documentary by Steve Kroschel. It gives the viewer a first hand experience of what happens with amalgam fillings when friction, change in temp occurs. please watch and respond. thanks. Hi Curious – I’m not sure where to find this documentary. 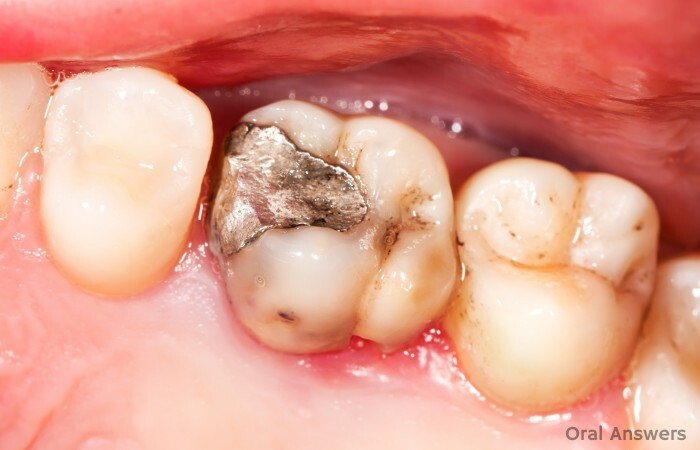 I’ve read certain anti-amalgam cases and they do make good points, but it leaves me wondering why the millions of people with tens of millions of amalgam fillings aren’t all having the same problems if the fillings are so toxic… Any ideas? Thanks for your comment, Curious. Let me know your thoughts. I am not a dentist but I can speak from experience. I have been tested for and been found to have mercury toxicity/poisoning. Initially my doctors did not consider mercury posioning and argued that there was no way amalgym fillings caused mercury poisoning due to the information being supplied to those outside of the dental profession. I am one of those cases where my blood and urine tests prove that amalgym does cause mercury toxicity/poisoning. The problem beign is that dentists in this country never inform their patients that an amalgym filling MUST be replaced after 8 years as it starts breaking down due to the grinding action which wears through the layers. I, at the point of removal of my amalgym filled teeth would poke my tounge out and their would be silver shavings on my tounge. I was never told I would need to replace them. I have also met 3 others who have been diagnosed with Mercury Toxicity/Poisoning. The only thing in common with all three of us, was the extraction of amalgym filled teeth. I am currently in the process of finding others who have had significant health problems since the incorrect removal of amalgym fillings. I would urge you to be very dilligent in your investigation and decisions regarding the dangers of Amalgym for use in regards to your potential clients, as to do so after you have been made aware would be very negligent in my opinion. I am also concerned as to the higher rate of suicides in dentists and dental nurses as opposed to other professions and I am concerned that the exposure to almalgym is responsible for this. I wish you well in your travels and may you investigate this intensively before making choices as to your own practices. Would you mind telling me if you are receiving any treatment for mercury toxicity? If so, is this through your own GP? Were you also tested through your GP? No, I received no treatment for the mercury toxicity as by the time I got the test results back from my GP I had been hospitalised due to a reaction to medication trialed for one of the symptoms of Mercury Poisoning, that symptom being Insomnia. I have been solety treated for the symptoms of mercury posioning and as a result it has been under the Mental Health umbrella with the professionals ignoring the test results that state I had Mercury Toxicity and that being the cause to the symptoms, sadly. Although they did perform the urine test while I was in hospital and change my diet as well as some meds. I have kept the teeth that were removed and am hoping to get some testing done on them. The one problem that people are not aware of is some of these drugs that are given for the symptoms actually have and adverse affect with the mercury in the body therfore do not work in a manner that they should. I have spent the last 3 years fighting my way back from where I ended up as a result of the professionals ignoring the test results because the lab told them after the urine test that even though my level of mercury was high that it shouldnt affect me. They didnt take into account I am a chemically sensitive person. Hi Melissa – I am sorry to hear about all that happened to you. Some people do have allergies to certain metals. Although these allergies are rare, they do occur. Did your GP diagnose you as being allergic or sensitive to mercury after you were having reactions when your mercury levels were at a level that shouldn’t have affected you? Hi Melissa – Thanks for your comment! I have never heard that an amalgam filling MUST be replaced after 8 years. Where did you find that out? The amount of mercury that is actually released from amalgam fillings is very small – you would get more mercury in a day from eating a fish than from your amalgam filling. Were you able to pinpoint the amalgam filling as the cause of the poisoning? Thanks for the information – The safety of amalgam fillings is something that I will continue to study. Sorry to hear you’ve had a rough ride with it all. I’ve pretty much been in the same boat as you. I’m also a highly sensitive person, so much so that I have had a problem with electrical sensitivity since having the fillings. The metal taste I was getting eventually gave it away what was causing such a disturbance in my body. I had my fillings replaced with white composite ones (unsafely) about 2 & a half years ago and I am still having to deal with the effects of the poison in my body, including loss of smell, memory problems, altered sensation, senses, gastro disturbances to name a few things. If you want to email me at lkt_oasis@yahoo.com I can send you some of the support / information that I have received, which may be of use. Tom, I suggest you go on youtube and watch the thousands of people who are putting vids up saying how they had all these conditions, diseases and allergic reactions only to then have their fillings removed and they got their lives back. Are all these people lying but the corrupt FDA are telling the truth. Please be responsible and break out of the system-wide ignorance of the medical profession. You can become a holistic dentist and do the world so much more good. People are waking up to the lies about ‘silver’ (mostly mercury) fillings. To say that that mercury allergies are rare is very, very irresponsible for a dentist. Please do your research and don’t just believe what they teach you in dental school. Think for yourself! There is a whole slew of information out there about the long-term negative effects of amalgams. Here is one of many, many, many articles about mercury. I have just had patch testing after suffering with a tongue ulcer for over 2 years that has been so painful and grown double its size. I have a second one appearing. My patch test results show that I am allergic to Mercury. The first ulcer is next to a heavily filled tooth. So in my opinion Mercury should not be used in dentistry. The pain, discomfort and stress of this has been dreadful and I now have to work out with my dentist (new one) how to fix the problem. Do I have the filling removed and re filled with different metal or cap the tooth that could lead to problems with the healthy tooth next to it…….? Thank you Tom, and most assuredly thank you Lisa. I am one of the 1-2% with a Mercury Allergy since a toddler. My childhood dentist did not believe that there could be such a thing, and it had to be an allergy to another part of the topical medication which was being used for my condition. It was not. He proceeded to unnecessarily (this was the 60’s and 70’s) invade my mouth with fillings (this was confirmed later) of which I had to have all the fillings removed and replaced with gold and ceramic/porcelain. Being even unable to have one of the energy efficient bulbs in my home, I can tell you the reactions are almost immediate and can/will go misdiagnosed. Headaches, Mouth Sores, Migraines, Sinusitis, Allergies, Fatigue, at times Confusion, Blurry Vision. Outside of having all the fillings removed, going through metal detox, having a kidney removed, repeated various issues and the Allergies….oh my gosh. I still suffer lifetime symptoms. Coming from a medical family, I can tell you, the medical, pharmaceutical, and the money makers of the industries are well aware of the hazards of particular treatments and “cures”. They are also aware of the long-term and damaging effects, they choose to minuscule them saying “the cure oversees the treatment” , and the “adverse population is not even enough to recognize”, when the “cure” ends up being the worst culprit.